Play like the pros on four championship courses (Fazio Foothills, Fazio Canyons, Coore Crenshaw and Palmer Lakeside) designed around the tranquility of our scenic setting. 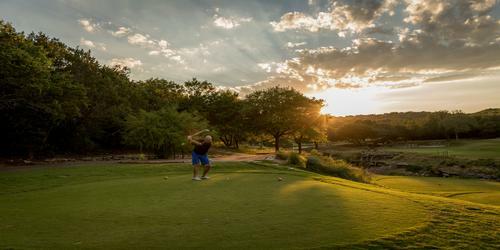 Let us help you choose which of our Barton Creek courses is ideal for your group outing. Prices include green fee, cart fee and range use. 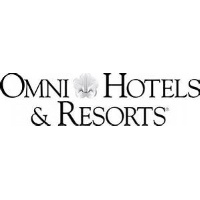 Tournament inquiries for groups with more than 12 people, please call Bentley Nakasawa at (512) 329-4045 or email bentley.nakasawa@omnihotels.com For all other golf changes or booking inquiries, please call (512) 329-4653. Contact Omni Barton Creek Resort & Spa at 512-329-4001 for more information and details on holding a golf outing at the course. Conveniently located just minutes from downtown Austin, and surrounded by the spectacular beauty of the rolling Texas Hill Country, Omni Barton Creek Resort & Spa is the picturesque and preferred choice for exceptional weddings and other special events. Here among our stunning natural landscape, you'll discover everything you need to create an occasion that will be remembered for a lifetime. With the assistance of our professional event planners, we can provide a wide variety of wedding and event services including complete coordination and event design, unique reception and event locations, custom wedding cakes, custom linens, specialty lighting, state-of-the-art audio visual systems and valet parking. Combine all of that with extraordinary cuisine and impeccable service, and you'll find that Barton Creek is all you need for your unforgettable Austin wedding or event. 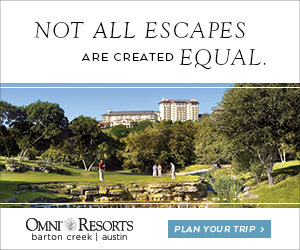 Contact Omni Barton Creek Resort & Spa at 512-329-4001. Omni Barton Creek Resort & Spa features seven restaurant concepts on-property to satisfy guests’ hunger any time of day. Choose between casual snacks perfect for grab-and-go moments before tee times or formal sit down affairs in trendy and sophisticated environments. Our Hill Country resort features a diverse range of cuisines and styles, as big as the state of Texas itself. Whether looking for a romantic destination to toast a new start or a family environment that appeals equally to the kids and adults, our resort is sure to please taste buds from sunup to sundown. This 13,000 square-foot sanctuary draws inspiration from nearby waterways, creeks and springs that features 17 treatment rooms, three couples' treatment rooms and a variety of services. The exclusive, adult-only, rooftop pool and garden is an oasis for spa patrons overlooking the expansive Texas Hill Country. This profile was last updated on 02/14/2019 and has been viewed 17,817 times.